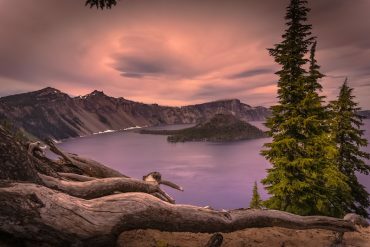 Eons of spewing volcanoes and cataclysmic floods created the Columbia River Gorge, where Oregon’s grandest river rolls through towering cliffs of basalt. Even Congress agreed this place was special. 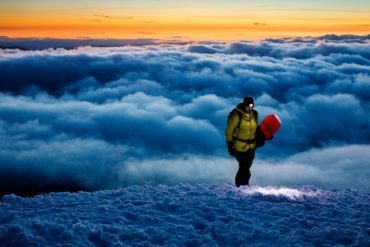 Twenty-five years ago, it named the Columbia River Gorge the country’s first National Scenic Area, protecting the Columbia’s most dramatic stretch, the eighty-five miles between the Sandy and Deschutes rivers. 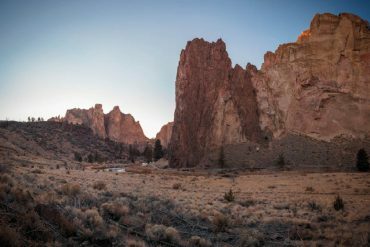 The Gorge is a natural wallop of waterfalls, wildflowers, rainforest, high desert, wildlife, snow-capped mountain views—essentially a microcosm of the West. Appealing riverside towns add to the mix—especially sporty Hood River, which makes the perfect base camp. From the central Gorge, recreation fans out in all directions. Hike to waterfalls, then soak in a mineral bath. Take a kiteboarding lesson, then settle down to a couple of local microbrews. Mountain bike through a fir forest or sagebrush, then sample wines or eat sushi. 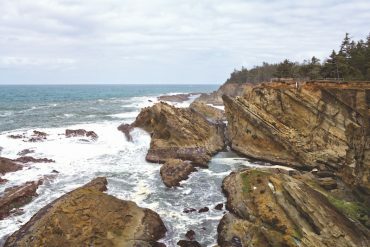 Come for the sports, come for the scenery, come for the awe-inspiring geology. 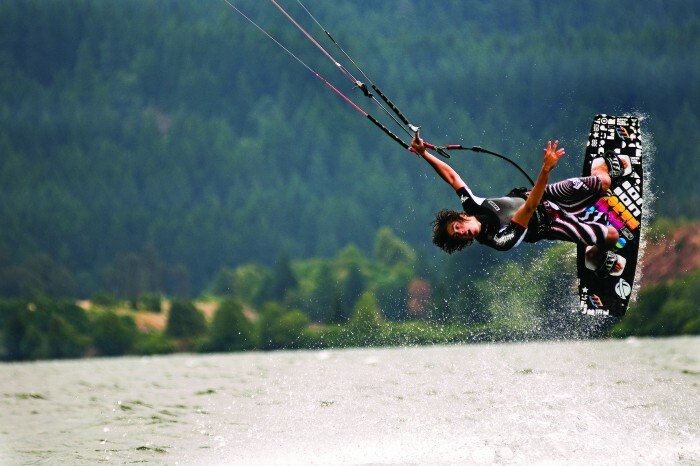 Kiteboarder on the Columbia River Gorge. You can’t visit the Gorge without checking out its iconic waterfalls. Just east of Portland, dozens of them slice through deep shades of north-facing slopes. Pass by the camera-clicking crowds along I-84 at Multnomah Falls and take the exit to the east instead. Backtrack a couple of miles along the Historic Columbia River Highway to 176-foot Horsetail Falls, which practically pour onto the road. 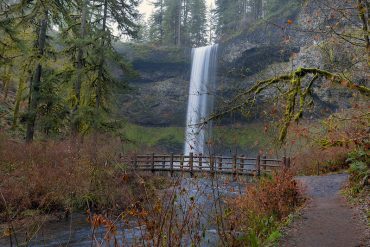 The Horsetail Falls trail leads out a three-mile hike, meandering uphill through a grotto of mossy rocks and trickling streams, then bending through an overhang behind the eighty-foot Ponytail Falls. Next up are the Oneonta Falls, which plummet into a deep punchbowl. For another perspective, wade up the frigid creek from the highway. Add another two miles to your hike with an out-and-back trip to the side-by-side torrents of Triple Falls. A day afoot earns an evening at rest. One of the region’s best resorts lies outside Stevenson, Washington, just upstream and across the Bridge of the Gods. 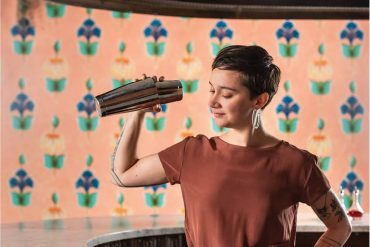 At the Skamania Lodge, enjoy a cocktail on the patio overlooking the stately Columbia or in front of its eighty-five-foot-tall fireplace. 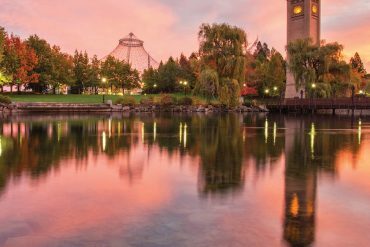 On Friday night, the Cascade Room hauls in its Gorge Harvest Buffet, with crab legs, mussels and oysters, roast prime rib au jus and Native American-style potlatch salmon. 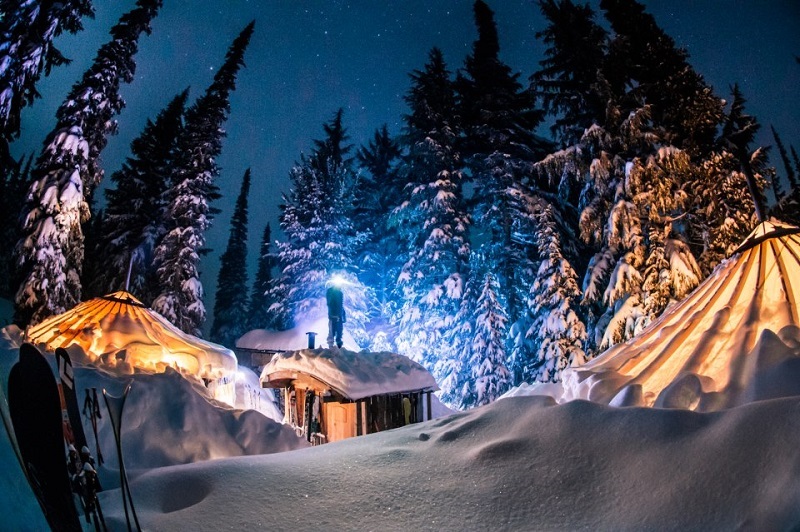 A few miles to the west is the lesser-known Bonneville Hot Springs Resort, tucked in the trees and surrounded by natural springs. Soak in its outdoor mineral pools surrounded by lush landscaping, or arrange for a pine-infused bath, linen wrap and arnica massage. Tomorrow brings an adrenaline-filled day in the Gorge. Brew-snobs may choose to bypass this all and head for agreeable drafts like Homo Erectus IPA and Walking Stick Stout at Stevenson’s understated Walking Man Brewing. In any case, you’re never far from the Columbia as it rolls on. 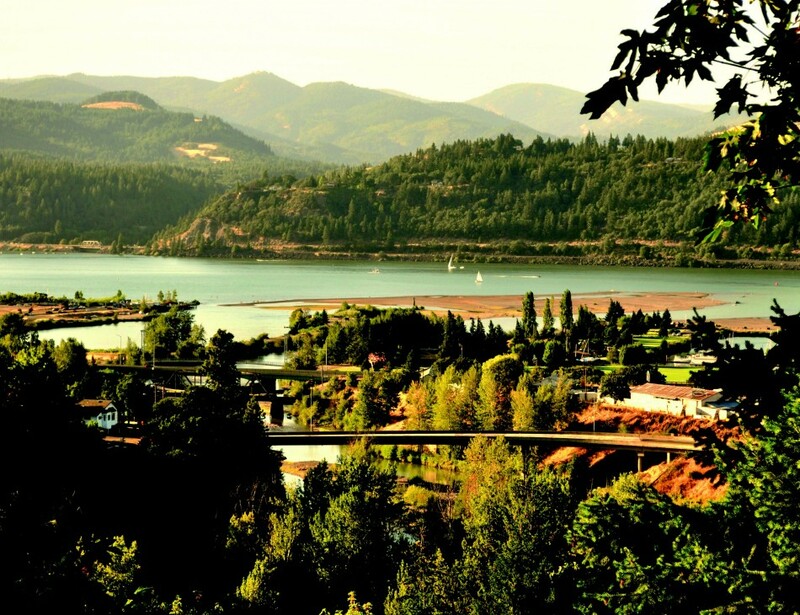 Hood River is the heartbeat of the Gorge. Its idyllic location—on the sunny side of the Cascades, at the mouth of the Hood River and its fertile valley—became a busy fruit-packing town decades ago. 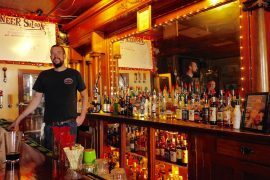 Today tourism feeds Hood River’s economy as much as fruit does. Wind, as they say, blew money into town. The natural wind tunnel of the Gorge pulls cool, coastal air toward the desert, making it a dream destination for the nascent sport of windsurfing in the early ’80s. That sparked Hood River’s makeover into a sports town that hasn’t slowed since. Along came kiteboarding, and the realization that this town also plays nicely with road biking, mountain biking, whitewater kayaking and other outdoor pursuits. Cross I-84 on 2nd Street to the waterfront for windsurfing and kiteboarding lessons, or to rent a stand-up paddle board on the occasional lightwind day. The grassy Event Site is also a great place just to watch dozens of colorful kites bouncing in the breeze. Windsurfers congregate near the Spring Creek Fish Hatchery, across the Columbia and downstream a few miles, where pros perform aerial tricks to the delight of crowds. 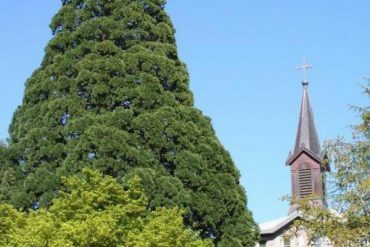 While this culture is built around the breeze, Hood River’s identity hangs in its trees. Pear, apple and cherry trees—and increasingly, vineyards—cross-hatch the lush Hood River Valley that stretches south toward Mt. Hood. The county’s “Fruit Loop,” a thirty-five-mile drive, winds through the region’s ubiquitous orchards, with lavender fields and alpaca farms. It’s a lovely route by car or bicycle, with open views of Mt. Hood and Mt. Adams along the way. The season begins with blossoms in April, segues into cherries, peaches, pears and apples, then winds down with pumpkins swelling beneath the autumn sun. 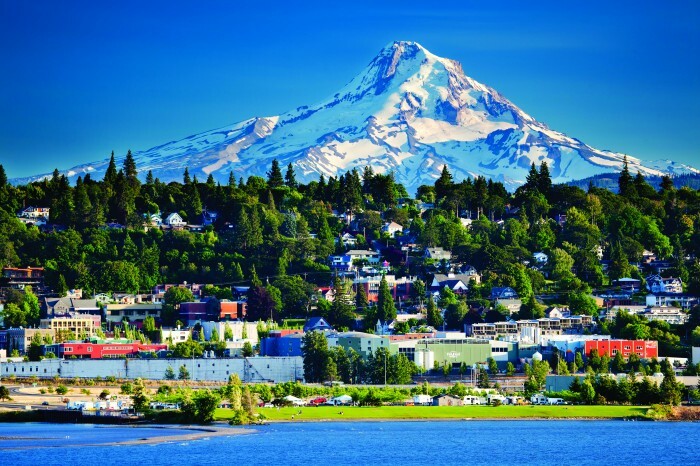 Eventually Hood River will lure you back to its walkable downtown, filled with locally owned shops, restaurants and brewpubs like Full Sail and Double Mountain. After a great day outdoors and a pint or two, you’ll be giving serious thought to chucking your real life and putting down Hood River roots. The Columbia River Gorge takes on an entirely different mood east of Hood River, where forested and ferny cliffs give way to broad skies and furrowed desert canyons, textured and wrinkled like an elephant’s hide. 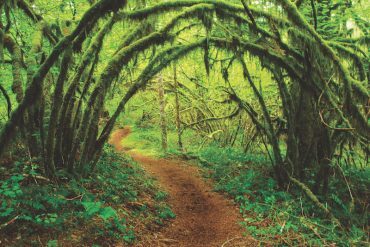 Miles of trails scribble the high hills above the Washington shore, weaving through the bunchgrass and scrub oak. One of the most popular areas is locally known as the Syncline, a swath of national forest land four miles east of White Salmon along U.S. Hwy. 14. Mountain bikers are drawn to its rock ledges, buttes and canyons. Hikers come for the southern exposure, broad river views and early spring wildflower show. Those sunny south-facing slopes also produce wine grapes. Near Lyle, wineries like Syncline Wine Cellars are raising the bar for the Columbia Gorge. 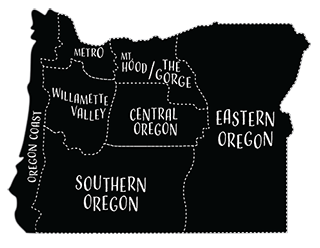 The Columbia Gorge wine map (columbiagorgewine.com) takes you to Syncline and other tasting rooms, including COR Cellars and Domaine Pouillon. Pack a picnic and a nice Mourvedre, then head up the nearby Klickitat Trail. This former railroad corridor follows the Wild and Scenic Klickitat River and desert canyons for thirty-one miles. From the trailhead at Lyle, it’s less than two miles to the Fischer Hill Bridge, where spawning salmon fling themselves through foaming rapids. Cross the Columbia back into Oregon at The Dalles, about ten miles east. 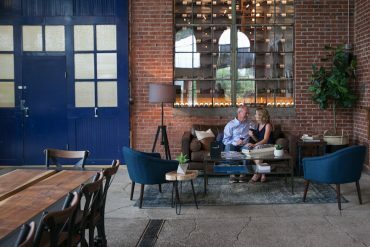 Quenett Winery has created the town’s most intriguing tasting room, surrounded by flour chutes, conveyor belts and other machinery of the century-old Sunshine Mill. On the Quenett’s back patio, guests can play a sporting game of bocci. Head west along the Columbia Gorge Historic Highway instead, which curls up to Rowena Crest. This rocky promontory offers grand views of the Columbia River Gorge, its basalt bathed in the golden light of evening. 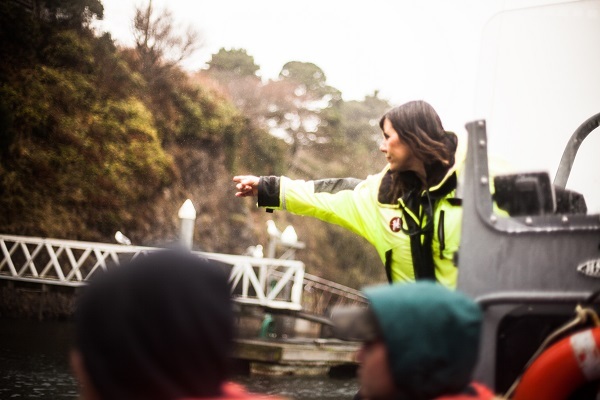 No matter how much time you spend here, the Gorge never loses her beauty and intrigue.